Off automatically after activating two minutes to avoid lens damage. Come with all accessories, including 2 batteries, sword and case. 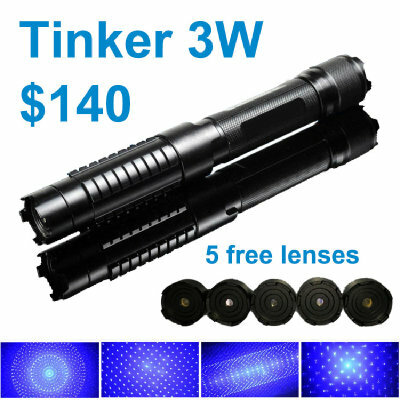 3W,5W available for blue laser and 1W available for the green laser.